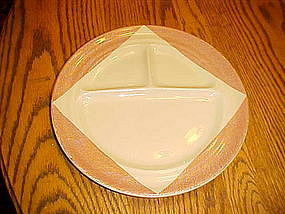 Nice heavy restauraunt grill plates by Wallace China. THese date by the back stamps and letter code to 1947. I have 4 available. All are in wonderful condition. Price is for each. Please send zip so I can calculate shipping. These are heavy but nice.